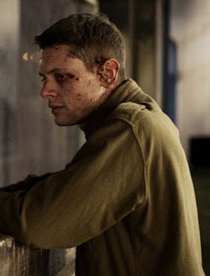 The latest feature from independent production company Warp Films stars Jack O’Connell as a British soldier deployed to Belfast during the Troubles, who suddenly finds himself abandoned behind enemy lines. Like many films from the Sheffield-based film company, ’71 warps unpredictably from British realism into genre territory, shedding safety and composure like layers of body armour. The burnt-out backstreets of Belfast provide a suitably grim setting for the increasingly confined action, with a gritty sense of place made all the more impressive by the fact that it was actually filmed in the north of England. Having been bombed extensively in Threads, Four Lions and now ’71, has Sheffield not suffered enough at the hands of filmmakers? Anyway, Jack O’Connell is quietly compelling in the lead role, displaying fear and vulnerability in almost total silence. His character is young, unprepared and abandoned by the army, to whom he’s “just a piece of meat”, in the words of Richard Dormer’s character, whose presence makes ’71 feel like Good Vibrations‘ evil twin. Bad Vibrations. This critique of a senseless conflict gives ’71 a political edge, but doesn’t stop it from eking every ounce of tension from this scary situation. 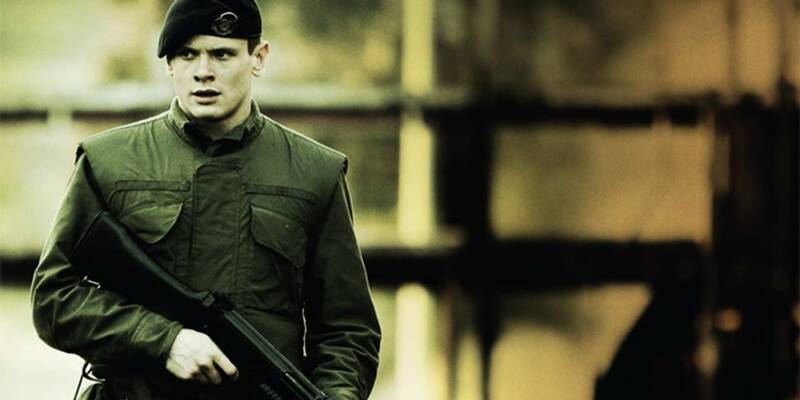 Yann Demange directs his first feature with gloomy atmosphere, the growing hostility creeping into shadowy corners of the screen. It does become hard to keep track of the various factions and their numerous betrayals, hardly helped by confusing shaky-cam, minimal characterisation and countless mustachioed villains. But it doesn’t really matter, because they’re all very bad news. Whoever they are. Light on characterisation but high in suspense, ’71 is a gripping little thriller with seriously tense atmosphere and a great central performance. Yann Demange paints a morally murky urban landscape in burnt-out browns, into which he releases Jack O’Connell like a rat into a maze.